“When I tell people about our culture and technology change, I frequently get the question, ‘Where do you begin?’” says Malmberg. “Well, how would you eat an elephant? One bite at a time.” Malmberg and her team first sat down to create a list of what frustrated them the most. “We literally put up giant Post-it® notes across my office wall. Then we got out markers, scribbled notes and redrew our process workflows. 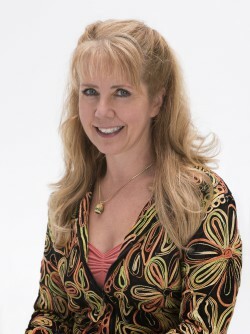 It was a little tedious, but it saved a lot of time on implementation.” With a strong understanding of its ideal processes, Steinhafels’ HR department turned to Laserfiche to facilitate the flow of information across different locations, managers and systems. 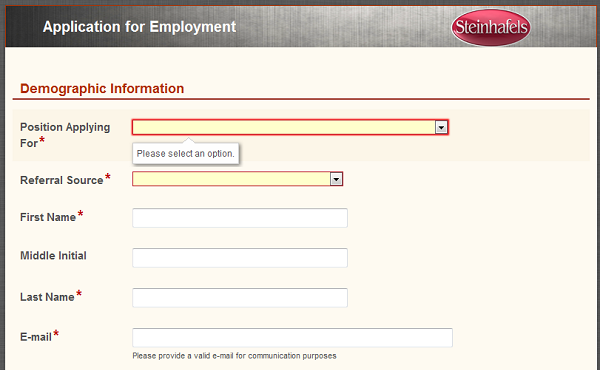 Steinhafels’ first order of business was to eliminate all of the non-standardized forms. 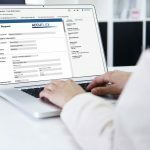 Using Laserfiche Forms, Malmberg’s team turned the paper forms into a smaller set of standardized electronic forms a hiring manager and new employee can complete and submit through an their intranet website. 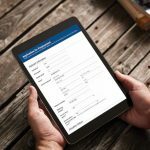 Electronic forms can be submitted online and automatically routed to key staff for immediate action. Want to see Steinhafel’s HR process in depth? Check out Steinhafel’s Solution Exchange contributed article, which includes screenshots and step-by-step explanation. Try Laserfiche Cloud for Free. 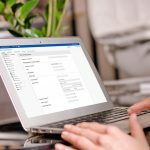 It is the ultimate content management solution with a centralized, secure repository that’s accessible no matter where your work takes you.